Have you heard of SMILENOTES? What is it? Why should dentists use it? I had the pleasure of interviewing Lee McMeeking, the founder of Smilenotes to find out the answers! Smilenotes is a software program (or web-app) for dental professionals which runs in a web browser such as Chrome or Safari. It has a fresh and simple to use interface that allows you to write-up detailed and accurate clinical notes or reports effortlessly using templates. With a mouse click, you then transfer your finished notes to the practice software where you normally store them. The site is new! It launched in January this year and is steadily gaining new users as more people discover it's time saving features. Why did you start Smilenotes? As a dentist I understand how difficult it can be working in a busy clinical environment. With so many demands on your time it can be tempting to cut corners with record keeping. One thing is for sure, there never seems to be enough time to write up your note and when you're working under pressure it's sometimes easy to forget to write down all the important things you should! A complaint or claim against you is everyone's worst nightmare and it's at times like these when you'll be relying on having good records. After doing numerous record card audits and analysing my notes, I often wondered whether there was a better and more reliable way to record all this necessary information. Typing each note by hand is extremely time consuming and you often end up writing the same thing over and over again. Sensible use of note templates together with careful customisation can rapidly speed up the task of record keeping whilst allowing a structured, accurate and unique report to be documented. Many practice software systems already have facilities for using templates but they're often very cumbersome and can result in poor records. Like many dentists, I started using templates that I kept in a Word document, however this still proved to be quite awkward. Talking to colleagues confirmed I wasn't the only one struggling with existing solutions so I decided to build my own! It needed to be fully customisable and simple to use. I wanted to allow the creation of unique patient notes in a convenient and methodical way. This would help ensure accurate information was reliably recorded by design rather than chance, making it possible to write great notes for every patient every time. Who do you think would find Smilenotes most useful? It's the perfect tool for busy dentists, hygienists and therapists to assist with record keeping. Anyone can use Smilenotes, so you don't need to be the practice owner and it works securely in a web browser alongside your existing practice software. By logging into your own personal account it works wherever you work. You can write up your notes quickly and easily by dragging and dropping your templates, then customising them to make unique patient notes. 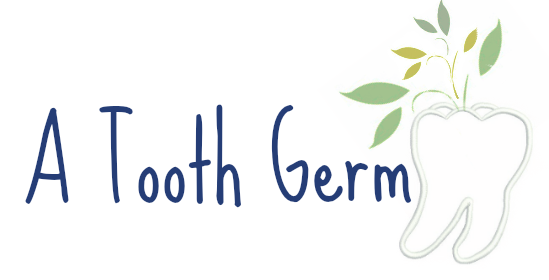 How might Smilenotes affect the everyday practise of dentistry? 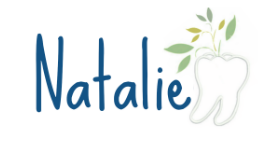 Smilenotes saves a huge amount of time, freeing you up to spend more time with your patients. More time chatting to patients and building up rapport can mean greater uptake of your treatment plans and less chance of miscommunication and complaints. So happier patients and happier clinicians! Smilenotes has been carefully designed to help make it easier to capture the facts and get them recorded securely in your notes quickly. With increasing litigation and probity, keeping accurate records has never been so important. Local health boards, indemnity insurers and regulators all expect you to keep a detailed account of patient interactions and quite rightly so. In the event of a claim being made against you, your notes provide factual evidence to support your decision making and your actions, including NHS claiming behaviour, patient advice given and your adherence to guidelines. Our software simply helps make it easier for you to keep accurate, clear, and contemporaneous records. Smilenotes runs in the cloud so it creates new possibilities for bringing technology into the dental surgery. 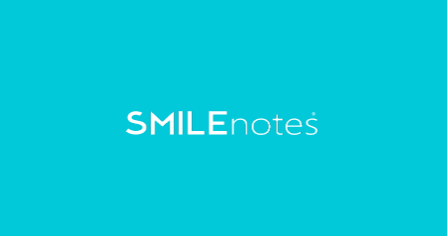 You can write notes using a tablet or desktop computer and if you're logged in on both devices Smilenotes will keep your notes perfectly in sync. Recording repetitive information such as LA batch numbers is also extremely straightforward and convenient thanks to our handy tools. Smilenotes allows you to colourise your template text which can make your overall note easier to read and edit. Notes are created in a modular way using our modern software, so by dragging and dropping, its very easy to rearrange and customise the individual templates that make up each note. Using templates is a great way to write notes, but it's essential to keep things up to date. Being in the Cloud Smilenotes lets you access and edit your templates anywhere with an internet connection helping you keep them accurate and relevant at all times. What are the plans for Smilenotes for the future? We're passionate about bringing technology into the hands of dental professionals. Right now we're working on some exciting new features and are constantly updating and developing Smilenotes to make things even better. We hope to reveal some new features later on in the year so please follow us on Twitter or Facebook for our latest news and releases! Sign up for your 30 day FREE trial here! Let me know what you think of the program in the comments below!